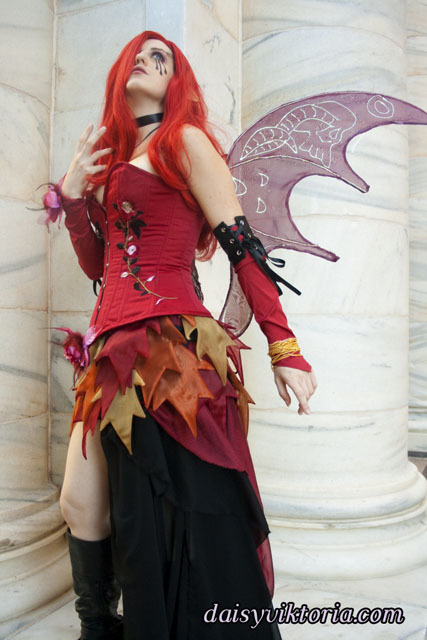 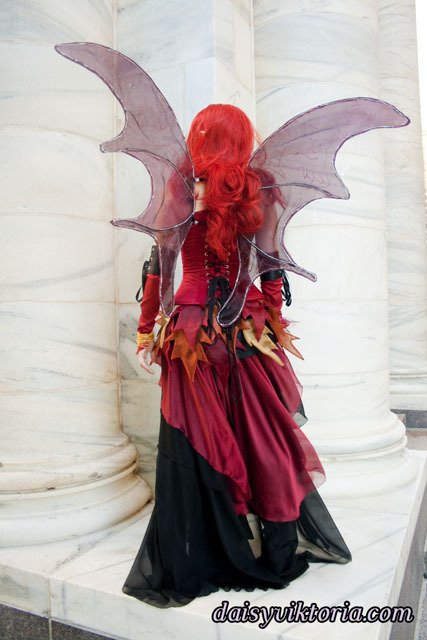 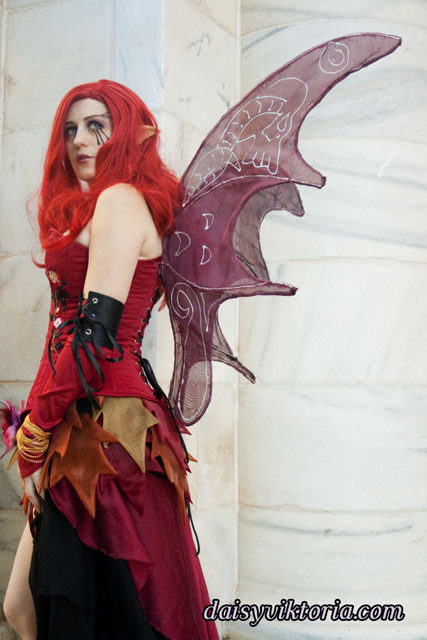 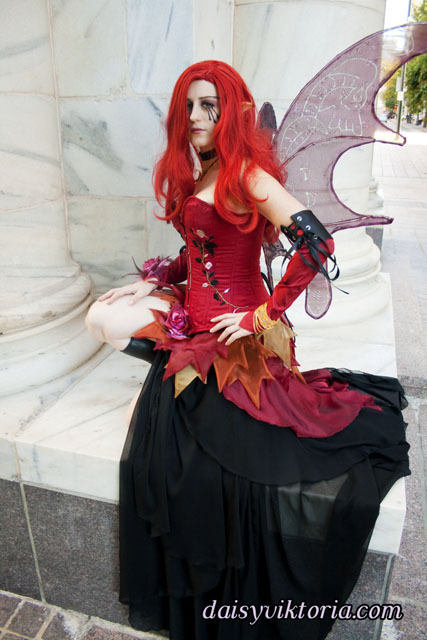 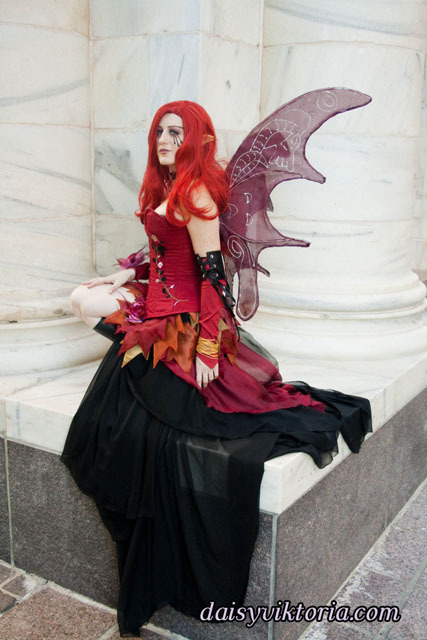 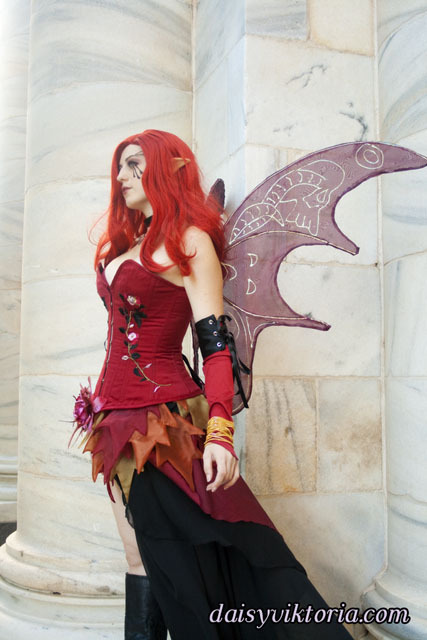 I based my Dawn costume on her adventures as a Celtic Faerie Queen in addition to her classic elements. 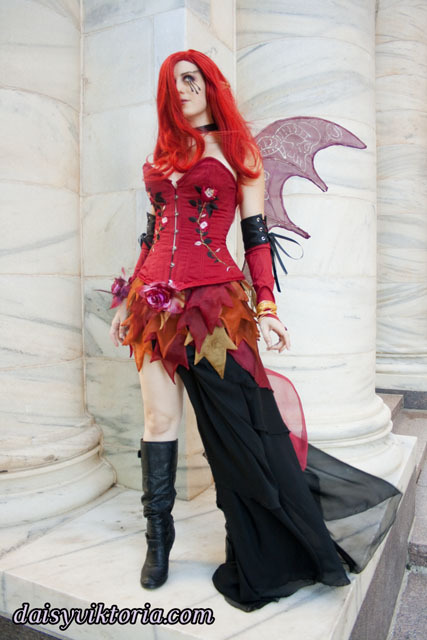 I created a new corset style for this costume, which is now available in my store. 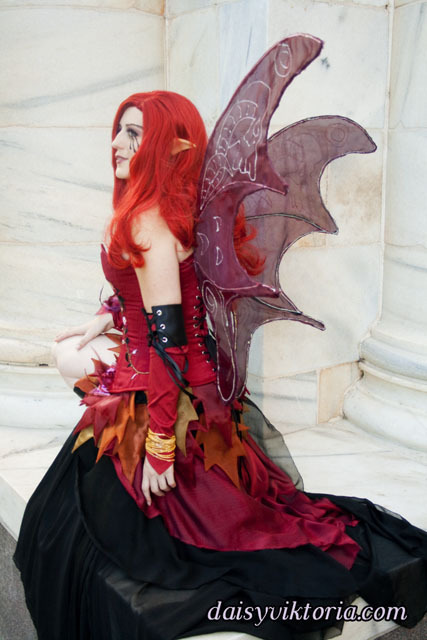 I also created a leaf skirt, a long draped skirt, and accessories. 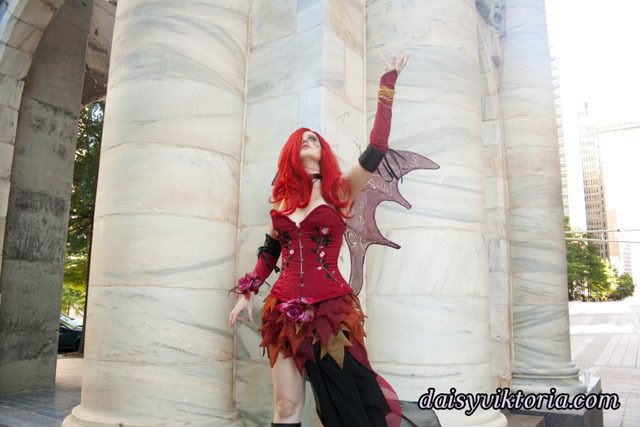 I also made the wings based on existing Dawn references.